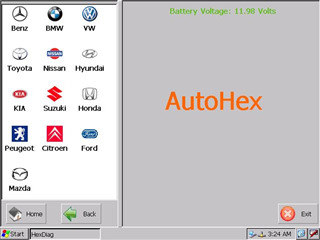 AutoHex Diagnostic scan tool Mercedes-Benz software allows you to perform complete diagnostics of all (1998 - present) Mercedes-Benz models. Diagnostics is performed via OBD-II connector (which is located near steering wheel) or via Mercedes-Benz proprietary 38 pin connector (only older cars, pre-2001). Since Mercedes Benz is well know by the big amount of different systems in any model. The Quick Test function is very important in the scan tool for Mercedes Benz. 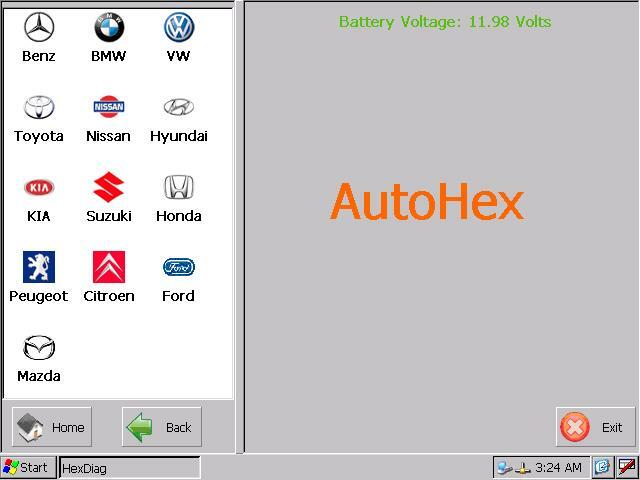 AutoHex scan tool, has a unique feature when reading faults in Mercedes Benz, it is updating the list of fault codes every 1 second.